Minnesota’s four seasons offer something special all year long. 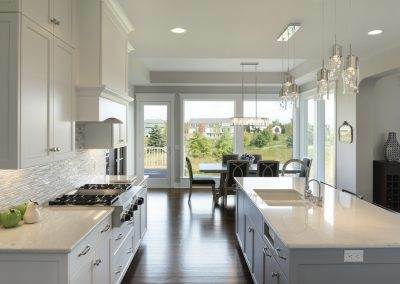 As you consider building your new Twin Cities home, think about how you can add that something special into your home. 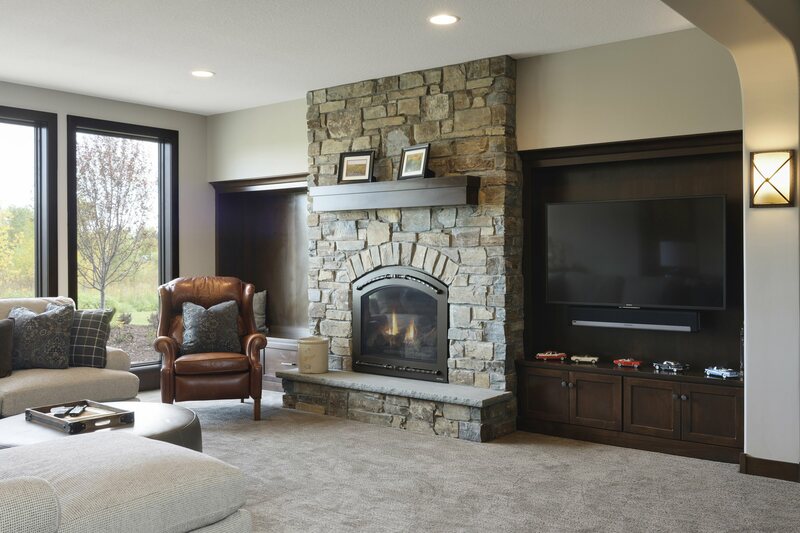 No matter what your favorite season, we can help you bring the outdoors into your home. 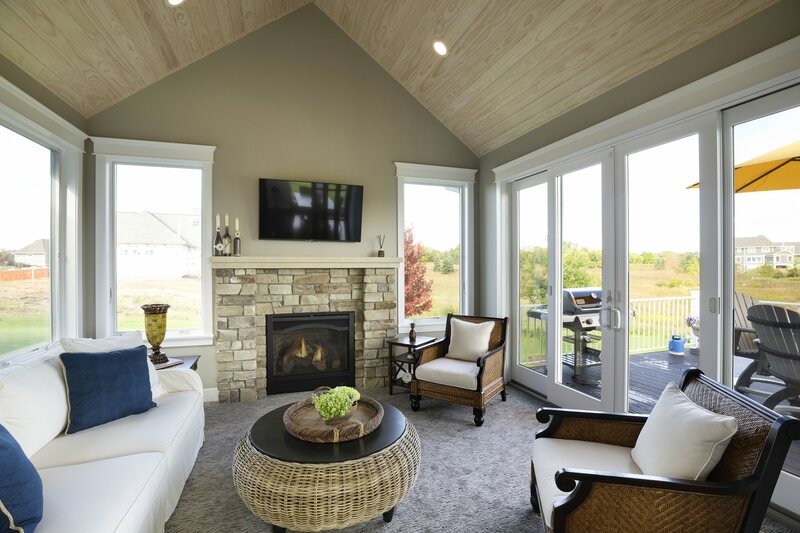 Our featured First Custom Home, Lake Elmo’s Whistling Valley spotlight, offers a great example of how we design our homes with the surroundings in mind. With the right orientation, your home can showcase the natural surroundings. Windows and doors can enhance the views, too. The right windows can blur the boundaries between the outside and inside. 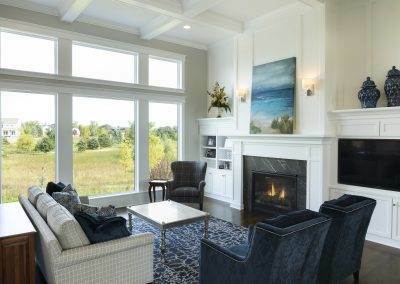 We are especially fond of the expansive window walls from Andersen Windows. They create a stunning view throughout the home – and can literally allow you to step from your living room right into Mother Nature. Another way to welcome the outdoors inside is to use natural materials. One of our most popular design elements is the use of reclaimed timber for ceiling beams and mantles. Each piece of wood is unique and adds character and style to a family room or kitchen. Wood can be incorporated as a style element on ceilings and walls adding natural beauty and warmth to a space. Add a wood wall to a master bedroom instead of a standard headboard; cover the ceiling of a four-season porch with wood plank or use the wood planks to create an accent wall in the living room. Wherever you place it, natural, reclaimed wood adds character and a strong sense of the outdoors to any room. 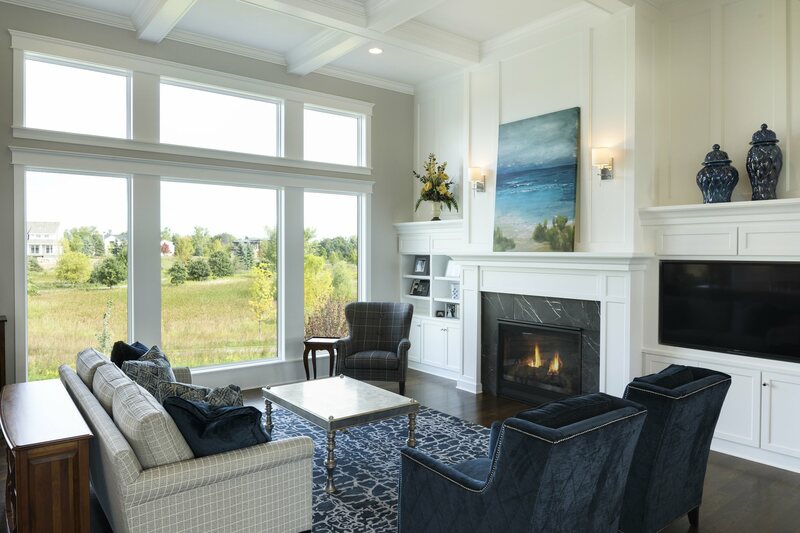 The family room fireplace is another great place to add natural elements. 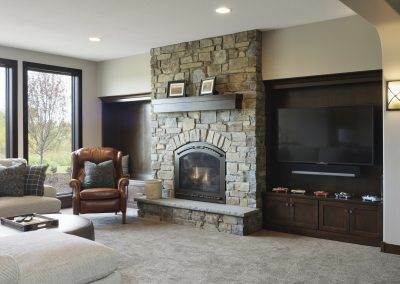 Natural stone is a great choice for a fireplace surround, providing texture and color. Add a rough-hewn wood mantle to complete the look. 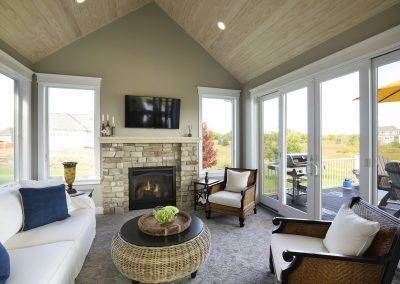 No matter what season it is, there’s always a way to appreciate the great outdoors from the comfort of your home. What does urban lake living mean to you? What does your dream home look like? Share your vision with us and we’ll collaborate with you to bring that dream to life. 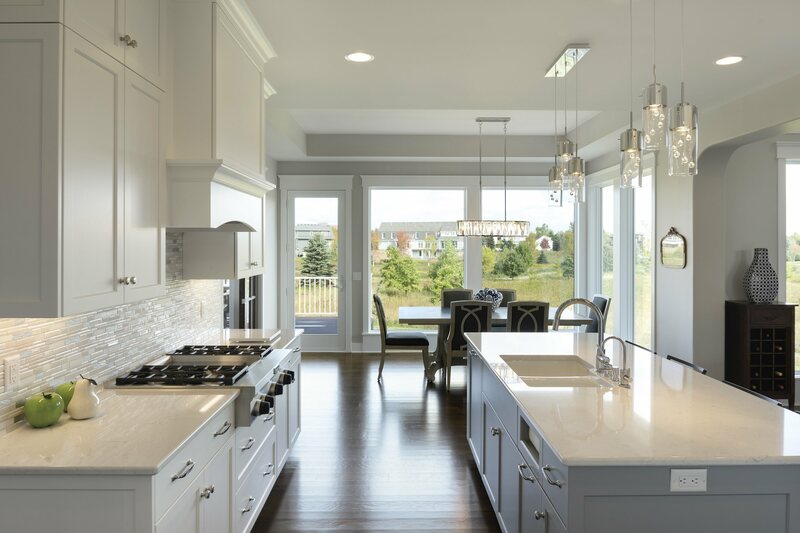 Zawadski Homes has been bringing dreams to life for almost half a century. 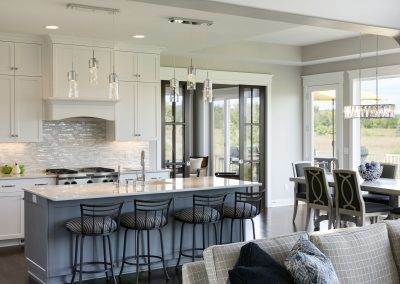 We look forward to helping you build your first custom home. Lori and I recommend Steve because he brings the whole package of quality designers and craftsman to bear on a project. The quality workmanship that went into our home is truly exceptional. We have lived in our home for six months now and we are as thrilled with the results now as the day we took possession of the home!